I hope you are all having a great fall season so far! I always love when the change of seasons happen in the Midwest and the vibrant colors on the trees occur. I would like to take a different approach this month about organizing and talk about your thoughts and how you should think about tackling your organizing projects. One important thought I would like for you to consider when you are starting an organizing project is what is the PURPOSE you are trying to achieve here with your space? Are you trying to make space so new items can be organized and fit in that space? Are you finally ready to get rid of old paperwork that is weighing you down and taking over the dining room table? 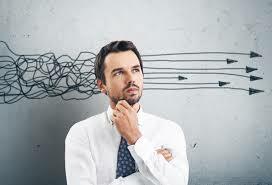 The question you need to ask yourself is what is your GOAL you are trying to achieve here. Once you figure out the purpose and the goal for the space that you want to get organized, the process of sorting, purging and organizing will be easier to work on. The second important thought I would like you to think about is what are the CONSEQUENCES if you do not have that specific piece of paper? Or what would happen if you recycled your kids old school papers from 4 years ago? This is the question that you need to ask yourself when you are looking at sorting and purging paperwork in your home or even your office. What is the consequence if you got rid of the papers? Do you need to keep the papers for your accountant, lawyer or your medical history for your doctor? If you can not think of any reason to keep the papers or there are no true consequences that you can think of, then it is ok to let it go. If you are truly in doubt then keep the paperwork but plan on reviewing the papers in about 6 months or 1 year when it may be easier for you to get rid of the paperwork. Most of the time my clients are overwhelmed at the start of the project and do not know where to start. The best way to handle this is to take 1 CATEGORY at a time and only work on that. For example if you are working in your bedroom, only address the clothes in your room or your closet. If you are working with your papers on your desk area, only look at papers that you know are 100% recyclable and you can get rid of them. And if you are in your garage area, just look at gardening items or just the tools to sort and organize. Most people get overwhelmed and look at the picture as a whole but if you just take a small category to work on, then it is manageable for you and you get the project completed! Try using these techniques when you are starting a project and I know they will be very helpful for you so you can start and finish the task at hand! If you have any questions about my service or would like some clarification on some points I have addressed here, please let me know and I would be happy to help you out. You can reach me at beth@organizedtoperfection.com or my business line at 630-668-0993. Thank you and have a great fall season! This is the time of year where parents and kids want to keep certain items as a memory and keepsakes so they are protected and can be displayed or shared with family members. Many people have a hard time trying to figure out the best way to store and protect family pictures, newspaper articles or sports memorabilia. 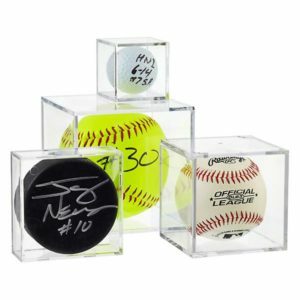 Here are some ideas and some solutions for the best way to keep your memorabilia items safe. Now that the baseball season is over with the Chicago Cubs winning the World Series (yes it is still unbelievable to say that in Chicago), the fans are looking to store their memorabilia items from the games. One solution are items from The Container Store www.containerstore.com and ideas on Amazon www.amazon.com to organize your sports memorabilia. I have worked with several clients where they have several items that they cherish and want to keep safe and I help them solve their problems. Also parents love taking pictures of their kids when they are in school plays, high school football games and prom. Many people do not print out pictures anymore but have them stored on their cellular phones. You can download pictures to your computer or go to Dropbox www.dropbox.com to find out solutions to organize your pictures. Also archive boxes are a secure and easy way to keep newspaper clippings, fine linens and christening gowns safe. The boxes are easy to stack and can be stored in closets, under the beds or shelving units. If you have young kids or have grand kids and you want to preserve their special artwork you can do that with artist portfolio. There are several solutions online or you can go to the store Michaels Arts & Crafts, www.michaels.com, for solutions to protect their art projects or paintings. This is a great way to keep your kids artwork organized and the artist portfolio can hold many projects instead of having them all over your kitchen or dining room table. As many of my clients know I always recommend to them to protect and honor their family memorabilia items and keep them in a safe place. I always see the joy and happiness on my clients face when they come across these items and it is my job to help them protect and preserve them the best way I can. If you have any questions about how to organize your memorabilia items or other organizing questions please contact me and I would be happy to help you find solutions to your specific needs. Thank you and I hope you all enjoy the holidays! My challenge for you this fall is to organize places that you never think of or were afraid to go to! For example, the very back area of your pantry, under all beds and bathroom cabinets, drawers and under the sink. Here are a few tips to help you through this process. Start with the pantry and clear out completely one shelf at a time. Is the food in the back still good? Did the food expire? Expired food or ingredients for food should be thrown away. It certainly is not worth getting food poisoning or feeling sick. If in doubt, throw it out! Now go to all of the bedrooms and get a flashlight and look under all of the beds. Get a coat hanger, if needed, to clear out all of the water bottles, clothes, books, tissues and toys. You will be surprised at all that you find, including items you thought were missing! Next project is to clean out and go through all of your bathroom drawers. Throw out any expired medicine and old makeup. Again, you don’t want to get sick or cause skin rashes. Use small containers to hold hair products, nail products, makeup and first aid items. If you use dish pans for all items under the sink the items will stay dry if pipes leak. 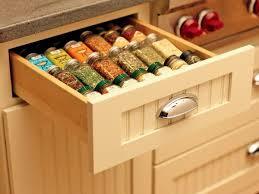 Another great project is to sort and organize your spice area or drawer. As you sort through your spices you may see ones that you never use or have not used in several years. If you have not used certain spices in several years do you need to keep them? And if you have limited space and need a solution, I would recommend you only keep the spices that you use on a regular basis and get rid of the ones that you have not used in a long time. Check out some retail stores like Target or The Container Store for options to store and organize your spices plus other solutions for your bathroom cabinets and under the bed storage. After you are done with these small spaces you will feel a great accomplishment! If you have questions or need additional help with these spaces please contact me and I would be happy to help you get results! I hope you are all enjoying your summer and spending time with your family. I would like to give you a few organizing projects if you are motivated to get organized during the summer months. By working on these projects you will feel like you are ready for the fall season and the start of the school year! One organizing project would be to go through all of the paperwork and supplies that came home from your kids last school year. Have you cleaned out their backpacks yet? Take a look at the paperwork that came home and can it be recycled or do you need to keep some information that pertains to next years classes? Start a list of school supplies that you know you will need for the next year in addition to the list that is given from the school. I know it is hard to believe that school will be starting soon and I am sure you are seeing the sale of school supplies at stores so take note on what you need and purchase them before the supplies are limited. The 2nd project to work on now that the weather is nice and you are outside more is to take some time to get parts of your garage organized. Have you really used all of the gardening tools and the flower seeds this year? Do you have some winter shovels that are broken or boots that you know no longer fit your kids? If you have about 1 hour to spend in your garage to get these categories organized, that is a great step! One way to get you motivated is to work on your garage the day before garbage day so you can just take the items to the curb you need to dispose of and it will be gone right away! The last organizing project to work on this summer is to purge and sort through your junk drawer. I know you have one or several junk drawers and you will be amazed in what you find! Take out all of the items in the drawer and throw away things you do not need and take the items to where they belong. This drawer will have many different categories and that is ok as long as it is not overcrowded and you have purged as much as you can. Also I am sure there are items that you have no idea what they are so make a decision and get rid of them or show them to other family members to see if they can identify the objects. This drawer is a great place to have a container with dividers in it to separate the items so they stay organized and neat. When you take on small organizing projects at certain times of the year you feel a sense of accomplishment and that is what I want you to feel! Enjoy the rest of your summer and if you need additional information on these topics or other organizing projects please feel free to contact me so I can help you have a calm and organized home!